Thirty dispatched (29 credited) combat missions flown by 1Lt Harley D. Snider: 268 (15 Nov 1944), 269, 271, 272, 273, 276, 279, 280, 281, 283(A), 286, 289, 290, 292, 293, 294, 295A(LC), 296, 299, 300(DLC), 301, 303, 304, 308, 312(DLC), 316(DLC), 320(DLC), 324(DLC), 328(DLC), & 332(DLC) (8 March 1945). (A) Non credited aborted mission. For Mission dates, targets and Mission Reports, see Combat Missions. 1Lt Harley D. Snider (P) - Flew on his first mission as CoPilot with Combat Orientation Pilot 1Lt Campbell Miller. All Other missions as First Pilot. One missions as a Lead Crew Pilot (295A) and seven missions as a Deputy Lead Crew Pilot (300, 312, 316, 320, 324, 328, 332). Completed his 30 mission combat tour (With credits for Lead and Deputy Lead Crew missions) on 8 March 1945 (Mission 332). 1Lt Joe T. Kunkel (CP) - Stood down on mission 268. Flew on 22 missions with 1Lt Snider (269, 271, 272, 273, 276, 279, 280, 281, 283(A), 286, 289, 290, 292, 293, 294, 295A, 299, 308, 312, 316, 320, 324) and 7 missions with other Pilots: As CoPilot (258, 262, 263, 264, 265); As Lead Crew Tail Gunner/Observer (261, 300). Completed his combat tour on 26 Feb 1945 (Mission 324). 2Lt Robert W. McCorkle (N) - Flew on 12 missions with 1Lt Snider (268, 269, 271, 272, 279, 280, 281, 283(A), 286, 292, 295A (Lead Crew), 320 (Lead Crew) and 22 missions with other Pilots (258, 261, 262, 263, 264, 265, 299, 300, 302, 304, 305, 309, 314, 319, 322, 323, 324, 334, 335, 336, 339, 340. Completed his combat tour on 19 March 1945 (Mission 340). T/Sgt John R. Work (E) - Flew on 28 missions with 1Lt Snider (All of the 1Lt Snider missions except for 294 & 332). Flew on five missions with other Pilots (261, 262, 263, 264, 275) Completed his combat tour on 2 March 1945 (Mission 328). T/Sgt Robert S. Ludington (R) - Flew on 28 missions with 1Lt Snider (All of the 1Lt Snider missions except for 283(A) & 332). Flew on four missions with other Pilots (262, 263, 264, 265). Completed his combat tour on 2 March 1945 (Mission 328). 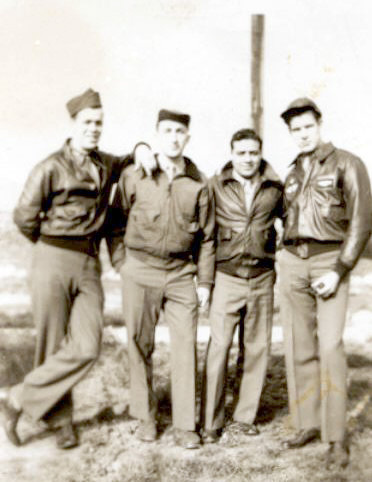 S/Sgt Edward P. Kudder (BTG) - Flew on 26 missions with 1Lt Snider: As Ball Turret Gunner (23 missions - 268, 269, 271, 272, 273, 276, 279, 280, 281, 283(A), 286, 289, 290, 292, 293, 294, 295A, 296, 299, 301, 303, 304, 308); As Waist Gunner (2 missions - 300, 316); As Tail Gunner (1 mission - 312) and 7 missions with other Pilots (262, 263, 264, 265, 324, 330, 331). Completed combat tour on 7 March 1945 (Mission 331). S/Sgt Murray W. Wade (WG) - Flew on 27 missions with 1Lt Snider: As Waist Gunner (24 missions - 268, 269, 271, 272, 273, 276, 279, 280, 281, 283(A), 286, 289, 290, 292, 293, 294, 295A, 296, 299, 301, 303, 304, 308, 312); As Tail Gunner (3 missions - 300, 324, 328) and 7 missions with other Pilots (As Togglier -262, 263, 264, 265); As Waist Gunner (289, 293, 300). Completed combat tour on 2 March 1945 (Mission 328). 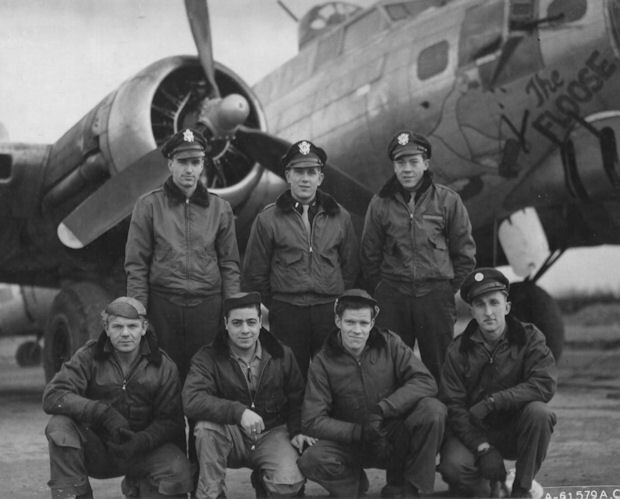 Snider Crew flew no combat missions in the Crew Photo B-17G "The Floose"